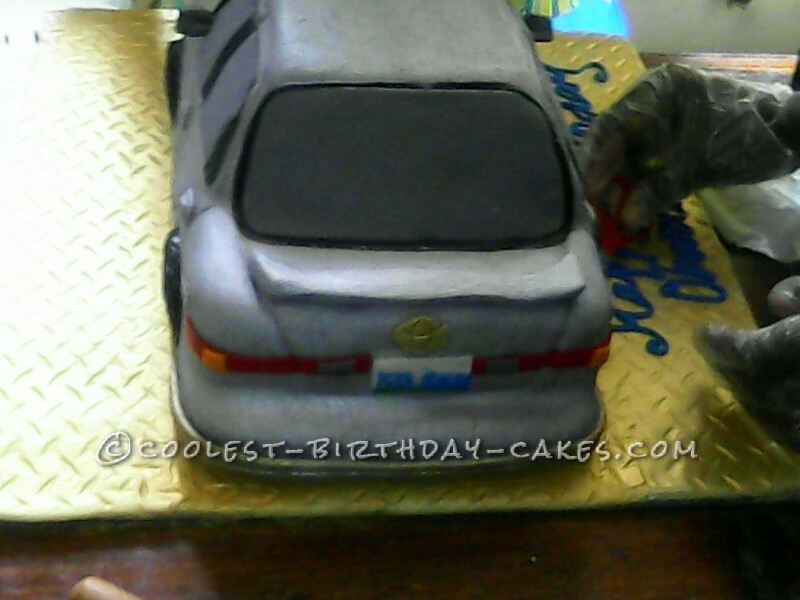 The idea of this cake came from a mum who wanted me to do a car cake for her son’s tenth anniversary . She has a Camry Toyota car and gave me the picture to realise something close to it. My husband helped out with the carving. I covered the entire cake with butter cream icing and let it set for some time then rolled out a large piece of white fondant and draped it over the entire shape. with my hands and a fondant smoother. I carefully highlighted various details. I then made the wheels out of round pieces of cake covered with black and grey fondant the head lights were cut out of white fondant the indicators out of red and orange ago . 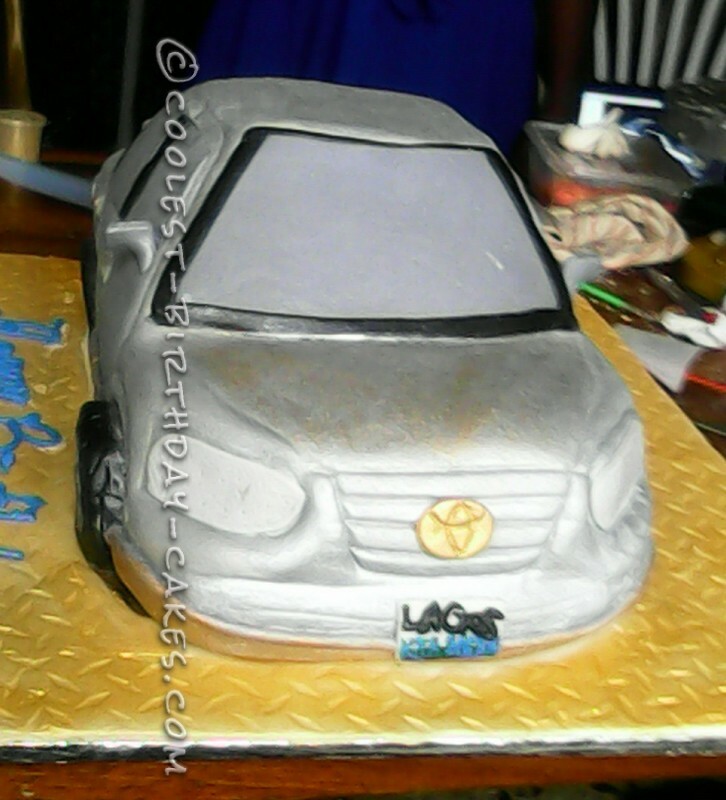 The Camry logo at the back was made with fondant painted with gold luster dust as well as the base. 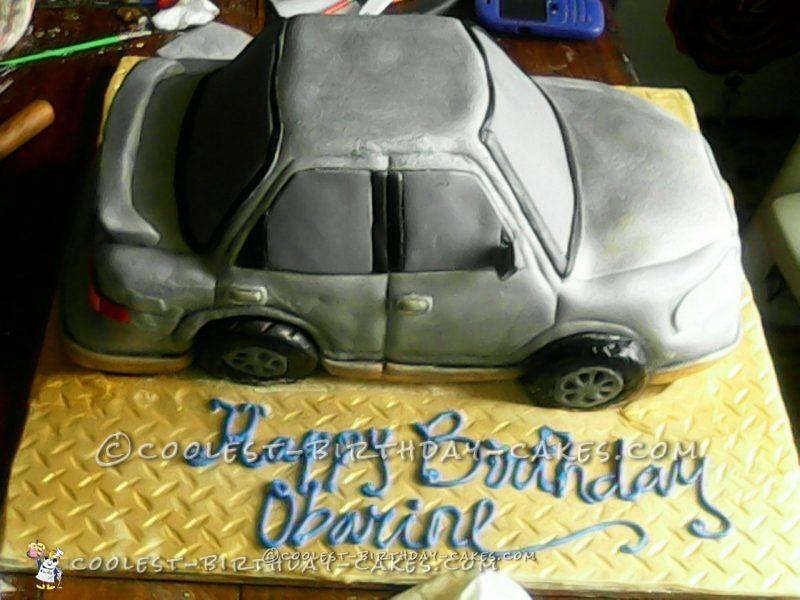 The side mirrors and door handles were made with pieces of fondant the side windows, front and back windshields were cut out of grey and black fondant while the doors were outlined with a modelling tool. Finally the entire car was painted in grey luster dust. Unfortunately that luster dust was lumpy it did not shine out as it should have . The cake board was covered with fondant painted with gold luster dust and the imprint made with an impression mat. The name piped in blue with royal icing. It may not have been perfect but it made a little boy very happy .